It seems that the only thing coming at us faster than new announcements about the Internet of Things is more news. Every day brings another new acquisition, merger or partnership. Dozens of platforms and solutions and sensor arrays drop every week. And in the last quarter, at least three types of revolutionary new technology have been revealed to help the IoT move forward. It’s an exciting time, and it’s easy to miss the biggest news. To help, we thought we’d bring you a sampling of the news items we covered this quarter at IoTEvolutionWorld.com. Make sure you visit us every day to keep up with the fire hose. In the meantime, watch this space. A new report from Argus Insights just recently came out, and it points to a drop in the connected home market from just a year ago and cites things like frustration with setting up IoT devices as reasons consumers are starting to lose interest. Nest and Dropcam have done well to excite the market, the study said, but all developers will need to do more plug-and-play and set-it-and-forget-it solutions, it seems. Read more here: http://bit.ly/1LGRso3. Another study, this time from Frost & Sullivan, calls for the Connected Home to implement some security improvements. This report indicates users fear that cyber threats have the potential to compromise the industry as a whole, despite the benefits of installing these systems. The potential for critical threats to connected homes, including compromised personal data, exists not only for home owners, but also for technology vendors and service providers. Read more here: http://bit.ly/1J8d6RM. It looks like wireless networks SIGFOX and Weightless-N are in a battle for dominance of IoT connectivity in Europe. SIGFOX, a proprietary wireless platform, recently announced new deals in Denmark and Belgium. Meanwhile, the city of London and Nwave, which installs networks on the Weightless-N standard, announced a deal to place the network all over the city from Buckingham Palace and the Houses of Parliament in the south to Emirates Stadium in the north. Only time will tell how this game will play out, or if the sides will find a way to make peace. Read more here: http://bit.ly/1BEsBkh and here: http://bit.ly/1JmgThc. Over in France, French auto manufacturer Peugeot Citroen announced that it will add several new in-vehicle applications and services using Sierra Wireless embedded modules, the Legato platform, and AirVantage cloud. The company said it’s time to move beyond simple safety and emergency systems for connected auto, and into entertainment and convenience. Read more here: http://bit.ly/1HhX2PL. Kansas City, always a tech-friendly wonderland, has contracted Cisco Systems to help it create a framework through which it can erect a development data portal, digital kiosks, smart lighting, and smart water applications. Sprint is the service provider involved; it will leverage Cisco gear to build a Wi-Fi network to act as the backbone for the deployment. Kansas City joins the ranks of other U.S. cities like Chicago and Sacramento trying to position themselves as IoT safe zones. Read more here: http://bit.ly/1dj0Dix. One of the biggest revelations this year came from the University of Washington, Seattle. Available power is a huge hurdle for the IoT. Without it, there is no connectivity. Wired power is limited in range and is expensive to install, and portable power in the form of batteries is too unreliable, short-lived (although that’s changing), and expensive. Wireless power could solve those problems in one fell swoop. And now, it looks like we’ve got a shot. A team of engineers has succeeded in powering a temperature sensor and a camera, each with no battery, using only wireless signals, from more than 15 feet away. Tesla would be proud. And we should all be very excited. Read more here: http://bit.ly/1J8ea81. Speaking of big news and power, Xirrus came out and said it has cracked the code for super high density Wi-Fi signals, designed to handle the coming bandwidth needs of the growing IoT. If it’s right, one of the major hurdles impeding the growth of the IoT might be almost behind us. Read more here: http://bit.ly/1eJOuVF. Toyota and Ford subsidiary Livio have teamed up to explore a collaboration for the implementation of the Dearborn, Mich., giant’s SmartDeviceLink technology in future Toyota and Lexus vehicles. The SDL project will give Toyota’s vehicles better dashboard interfaces and lead to better, more robust IoT software all around. Good news. We’re moving closer and closer to fully connected transportation, folks, and it’s getting pretty cool. Read more here: http://bit.ly/1RA9ERL. Vision-as-a-Service is a new way to think about IoT development, created by developer Tend. Tend makes connected video systems, licenses them to the likes of Kodak, and then maintains the connections with its service offerings. The bigger idea is that all IoT hardware developers should be thinking about their products in terms of service, as the IoT develops. Read more here: http://bit.ly/1BPvTlk. While some supply chain and connected shipping developers are making huge strides toward driverless technology, ABI Research recently outlined one future possibility for connected transportation: truck platooning. The way it works is exactly how it sounds. A convoy of driverless trucks is programmed to follow a leader at a set distance, and maintain matching speeds. The whole platoon can be helmed by a human driver leading the line or, eventually, with no drivers at all – which is totally not terrifying. Nope. Read more here: http://bit.ly/1fGD7h7. You gotta control your IoT network right? Well you’re going to need an operating system that makes sense. Good news! At Google I/O, the search giant announced, among many cool new things, its new IoT OS, nicknamed Brillo. It will work with any low-power IoT sensor net or dashboard, Google said. (See Brillo article.) Meanwhile, at its Network Conference in Beijing, Huawei launched its new IoT OS, called LiteOS, as part of the company’s Agile Network 3.0 Architecture. These companies are leading the way toward more unified and comprehensive IoT network solutions, and I can’t wait to see what’s next. Read more here: http://bit.ly/1eJNaSC. We found out, thanks to some new research from Delta-ee, that there are four main challenges facing the connected home. Until they’re overcome, there can be no mass adoption among consumers. This, paired with the slowdown in the connected home market, seems to indicate that major work needs to be done in terms of getting the mass of consumers on board. Check out the Connected Home Supplement and read more here: http://bit.ly/1BPwOC9. One thing that might help is a new connected fitness app that is designed to help get fat users more fit, while also making sure they feel good about themselves while doing it. Impossible you say? Read more here: http://bit.ly/1Ly0IxE. If that’s not enough to get people excited, there were also some cool safety-related announcements recently. New Jersey made a deal with IBM for its NJ Turnpike and Garden State Parkway systems to use sensor arrays to make them less congested, improve emergency response times, and catch speeders. Elsewhere, a new connected breathalyzer app will reward folks who make good and responsible drinking and driving decisions. Read more here: http://bit.ly/1GuwMfe and here: http://bit.ly/1GuwMfe. 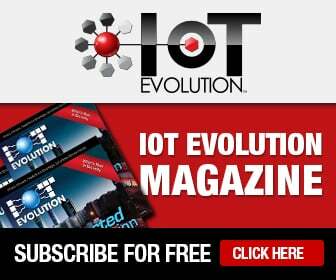 Finally, in a valiant attempt to invite you all to visit the IoT Evolution Expo for your own good, I’d like to remind you that we’re all in this IoT together, and we should all pull in the same direction to make this industry the powerhouse we all see it becoming. A good place to start might just be in Las Vegas, from Aug. 17 to 20. See you on the Strip. Visit iotevolutionexpo.com to find out more.